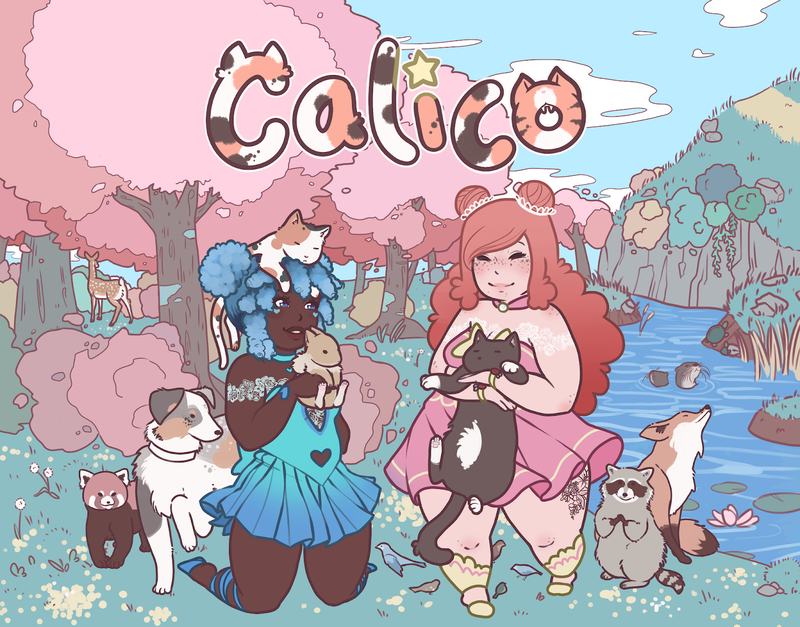 In Calico you, a darling young magical girl learns she has been given her distant aunt’s old cat-café along with a harrowing and adorable task; Make the town’s cat-café active and full of cuddly creatures again! You will journey to a town of Magical Girls and other fantastical friends to fix up the cat cafe, as well as filling it with furniture, decorations, and most importantly CATS! Make friends with town citizens, including Magical Girls, Witches, and more! Collect items to decorate your cat-café and play with animals in your cafe. Create and sell delicious pastries. Explore a lush and beautiful town. Interact with and yes, pet, snuggle and befriend wild animals (please do not do this in real life). Follow our social pages below to watch development and receive updates!